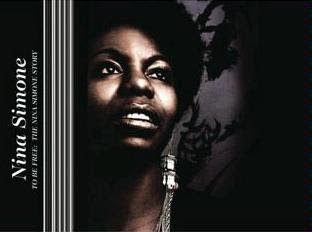 Jazz Station - Arnaldo DeSouteiro's Blog (Jazz, Bossa & Beyond): Box Set of the Day - "To Be Free: The Nina Simone Story"
Box Set of the Day - "To Be Free: The Nina Simone Story"
Truly one of of the greatest African-American female vocalists of the 20th century Nina Simone (1933-2003) holds a special position of honor for the fearless role she played as an uncompromising ambas­sador of cultural pride at the height of the Civil Rights and Black Power movements from the late 1950s to the 1970s. The musical roots and branches of Nina Simone’s life are explored in depth. Includes an alternative of the classic track, Ain’t Got No-I Got Life, which continues to be featured in Müller’s advertising campaign. Aside form the 3 discs & dvd, it comes complete with previously unseen photography from Simone‘s family archives, photos from the personal collection of Nina Simone historian Sylvia Hampton as well as meticulously researched track-by-track annotations written by David Nathan.